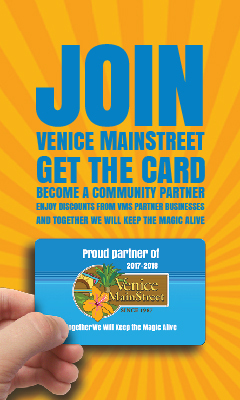 Venice MainStreet Inc. (VMS) is asking the community to put on their walking shoes and get ready to sip and shop during a Wine Walk, August 16 from 5:00 p.m. to 8:00 p.m. Those who purchase a ticket will be able to enjoy wine tasting at each of the participating locations, and VIPs will be able to enjoy specialty wines and hors d’oeuvres at the Made In Italy restaurant. Attendees will have a variety of wines available as they shop from store to store, including wines from South Africa and California. Participating Businesses will be pouring 1-ounce tastings in 100% recyclable containers. General tickets are $10 and VIP tickets are available for only $5 more. Tickets can be purchased early at Venice Wine and Coffee Co., The VMS Office, or online at https://www.visitvenicefl.org/product/wine-walk. 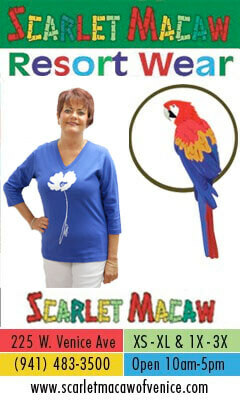 They can also be purchased on the day of at the Centennial Park Kiosk or Burgundy Square Breezeway. Guests can pick up their wristbands and list of wine-tasting locations at the kiosk or breezeway at 5:00 p.m. on the day of. The VIP Experience is sponsored by New Dawn Travels, “Curating Unique Life Experiences,” partnering with Oceania Cruises. Venice MainStreet Inc. is working hard on future events as well, such as the Barstool Open on August 25 and the Beach Party September 22. For more information on any of these events, contact the VMS office at (941) 484-6722.